It is estimated that more than 15 million people are affected by food allergies. Over the years, the recommendations on what parents should do to prevent their children from developing severe allergies has gone back and forth. But now a new recommendation by American Academy of Allergy, Asthma & Immunology (AAAAI) says highly allergenic foods such as peanut butter, fish and eggs can be introduced to babies between 4 and 6 months to prevent allergies in future. A January article in the Journal of Allergy & Clinical Immunology: In Practice says that allergic food like egg, wheat, peanut etc. can be introduced to babies so that they can get used to the products and reduce chances of allergies. Food allergies are still a subject under research and therefore even today, the recommendations are varied from experts in the field. In 2000 the American Academy of Pediatrics issued guidelines that were actually totally opposite of the current report. Those guidelines said children should hold off having milk until age 1, eggs until 2 and peanuts, shellfish, tree nuts and fish until 3. In 2008 however the guidelines were amended when the AAP noted that food allergies were still occurring and the age restrictions were of no help. According to the National Institute of Allergy and Infectious Diseases, part of the National Institutes of Health, 5 percent of children under the age of 5 are affected by food allergies in the US. The prevalence of a food allergy for children under 18 increased by 18% from 1997 to 2007. So now experts say that it is better to introduce children the foods early to prevent allergies later. He added though that more analysis and research was needed to confirm that early introduction could indeed be helpful in preventing allergies. A few trials on children are already taking place in Australia and England with a group being introduced to allergic food products early on while others getting the food later. The results are being awaited for these trials. Some believe that the early introduction may help babies in strengthening their immune system. “The body has to be trained in the first year of life,” says Katie Allen, a professor and allergist at the Murdoch Childrens Research Institute at Royal Children’s Hospital in Australia. “We think there’s a critical window, probably around 4 to 6 months, when the child first starts to eat solids,” she says. Other experts also say that with growing consciousness about hygiene, many children are not exposed to germs weakening their immune system further. Early food intake of all kinds may help the body familiarise with different products. Dr. Allen believes there may also be a link between food allergies and vitamin D.
In another study published in Journal of Allergy and Clinical Immunology researchers took blood samples of 5000 babies and found that those who had low Vitamin D were more prone to food allergies. A 2011 prevalence study in the journal Pediatrics found that 39% of children with food allergies have a history of severe reactions. These may include hives and eczema, asthma, vomiting and anaphylaxis and also a life-threatening reaction in which the body’s major systems quickly shut down. The new AAAAI recommendation suggests introducing an allergic food after the first food has been introduced to the baby like a fruit, vegetable or cereal. The daily intake should be increased gradually based on the baby’s reaction to the food. 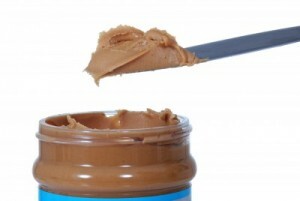 A 2008 study compared peanut allergies of children in UK and those in Israel. They found that the allergy was 10 times lower in Israeli children than in UK. A follow up survey of 100 babies in each country revealed that babies in Israel were given a popular snack with peanuts by age 6 months whereas babies in UK were given peanut containing products after age 1. Gideon Lack, a professor of pediatric allergy at King’s College London, is now in the midst of a randomized control trial which is checking 640 children with a high risk of allergy—determined by eczema—from infancy to the age of 5. Half of the children are receiving 24 gms of peanuts three times a week while the other half are not given any peanuts. The results of the research will be available by next year. Not everyone agree to the new recommendations though. “The evidence that has come up is of great interest but it’s all either anecdotal or epidemiological and not the intervention studies that are going on right now that will lead to answers in the next three years,” said Robert Wood, director of Pediatric Allergy and Immunology at Johns Hopkins University School of Medicine. He suggests parents should take their own decision as to when to introduce the food. Food allergies became more common in the 90s, causing most doctors to recommend parents delay introducing certain foods. But later it was observed that avoiding high allergic food products did not stop the problem and children who had allergies only increased. “As these guidelines were implemented we’ve seen a paradoxical increase in foods allergies in young children, especially with peanut allergies,” said Anna Nowak-Wegrzyn, associate professor of pediatrics at the Icahn School of Medicine at Mount Sinai Hospital. Therefore, the new recommendation might be a new way to tackle the problem. The new recommendations from the AAAAI committee say an allergist should be consulted in cases when an infant has eczema that is difficult to control, or an existing food allergy. For children who have a sibling with a peanut allergy, and thus have a 7% greater risk of a peanut allergy parents may request an evaluation but the risks of introducing peanut at home in infancy are low, the recommendations noted. They also say an allergist should be consulted in cases when an infant has eczema that is difficult to control, or an existing food allergy. Because children who have a sibling with a peanut allergy have a 7% greater risk of a peanut allergy parents may request an evaluation but the risks of introducing peanuts at home in infancy are low, the recommendations noted. Because these trials are ongoing, parents who are looking for dietary information for their babies should always consult a doctor or pediatrician for recommendations pertaining to their specific situation.